the key trends in government intervention in Europe and the USA and the impact this is likely to have on private equity deals. the opportunities currently offered by the German insurance run-off market and the key structures and issues which require consideration on a typical German insurance M&A transaction. 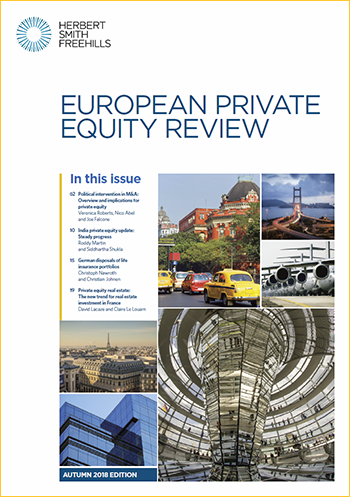 an overiew of the private equity market in India and recent developments. how the private equity real estate market has developed in France in recent years as well as common structures used in such deals. Joseph is an Associate in the corporate department specialising in Private Equity and Private M&A.